It's a NEW YEAR! - Find Your Style! FIND YOUR STYLE in a new year! It's January 1 so that means it is time for a blog hop again! I've made two more cards with the January Stamp of the Month - Find Your Style. I can't get enough of this stamp set! Again, I used the Wings paper with this stamp. One of the B & T papers in Wings had a beautiful background that I wanted to incorporate with the stamp without covering the whole card. The Sweet Leaf background of the paper had an accent of Juniper so I brought that color to the forefront of the card with the Juniper stamped bird with sponged edges of cocoa. The card is a simple card of Love. The next card is one of those ideas that come to you at random moments. This card design idea hit me at a time that I was not even in my scrapbook room. I was in the shower where most of my ideas seem to hit. I don't know.... maybe it is the hot water heating up my brain. ha ha. I couldn't wait to sit down and put this one on paper. The shoe was the idea that hit me.... I stamped the shoe in Versa Mark ink onto Barn Red cardstock. Then I added clear embossing powder and heat set it. Next, I sponged black ink over the shoe so that the ink adhered to the portions that were not embossed. (Resist technique) This brought out the design in the shoe. For my accents I used the Just Blooms Paper Flower and butterfly. The flower center is a Corduroy brad from the Mini Medley Accents Black Collection. 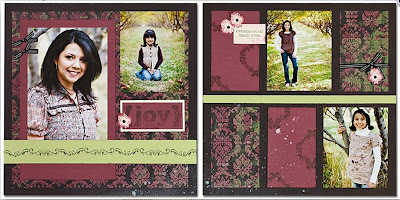 Now, for more ideas with this stamp hop over to Nancy's Blog for a fun ride through the Blog Hop! If you love this stamp, you will want to be sure and get it during January! After that, it will be unavailable. We've got some awesome discounts on this stamp! Visit the January - Inspirations! page of this blog and click on the brochure link. 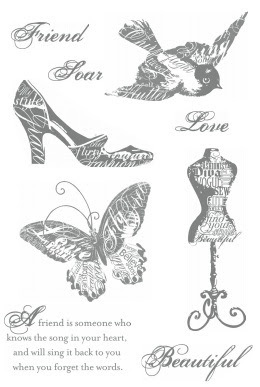 Order the Wings WOTG and ANY 4 other items in the brochure and you get the Find Your Style stamp for FREE! Here's wishing you a Safe & Happy New Year! I fell in love with this January Stamp of the Month the minute I saw it. My first thought was "I don't know what I'll do with it but I LOVE it!" I had a little bit of quiet time on Christmas to play with this stampset so I sat down to make a few cards and the ideas started flowing! I love the vintage look of the stamp and it works perfectly with the new Wings paper. Here are a two of the cards that I made. Note: The smaller butterflies were cut from the Wings B&T paper! I have two more Find Your Style cards to share so be sure to come back on January 1! 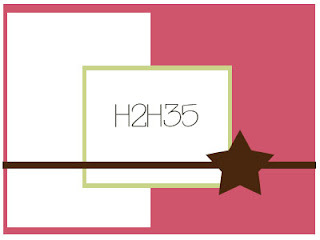 I'll have the link to the January Stamp of the Month Blog Hop posted too. For more Close To My Heart artwork, be sure to add the Big Red Scraps website to your favorites! It is a great place to get inspired for layouts, cards and all crafting projects! For lots of fun and MORE amazing creations from our January Inspirations be sure to visit Tresa's Fabulously Artsy blog and hop along with us. The new 2011 Spring Summer Idea Book from Close To My Heart doesn't arrive until February but January has a sneak peak of things to come. Let me say.... if the sneak peak is this beautiful, I can't wait to see it ALL! I was able to get my Wings kit early for pre-view and put it together. The papers are awesome and I LOVED the spray pen. This is a cool technique I'll be teaching this month. Now I want to spray everything! To see the Inspiration Brochure just click on the link in the "January Inspirations" tab above. I'll be posting pictures soon of the cards I made using this paper along with the January Stamp of the Month so be sure to check back! I LOVED working with this paper! Contact me today if you would like to join me for the Wings Workshop on January 27th. RSVP needed by January 7th. A Little Bit of Mistletoe! It's been a quiet day for Christmas Eve. My oldest daughter had to work until 4:30 and my youngest went to pitch with Dad. So I had a little bit of quiet time to myself this afternoon. Everything was wrapped and I've done all the baking I was going to do today. So I sat down to do a little project I've been wanting to do all December! This only took my 45 minutes! No Kidding! I've decided that everyone should always keep a 6x6 Memory Showcase album and a Level 1 Paper kit on hand. These two items make a fast, simple and easy gift! I used Mistletoe Level 1 along with Snow Days stamp set to make this quick little gift. Take two of the base pages and cut into 6x6 squares. Then use your included cardstock and stickease to dress up the pages! If you have been wondering where I've been since the cookie swap..... well I've been a little bit under the weather. I know.... it's NOT the best time of year to come down with a cold but it really took me out of my craft room for several days! I am just now beginning to feel a little better but I still haven't made it back into my craft room. I've got so many things I want to do this week! This week's Heart 2 Heart Challenge was to post a favorite Christmas card. Since I was not feeling up to crafting, I did sit down with ALL my Christmas cards that I had made in the past. I thought I would address a few and send out a few to my new friends I have met this past year. It was fun to remember the excitement of using each new stamp and thinking of ways to create with them. I wanted to post one of my past favorites.... All Decked Out. 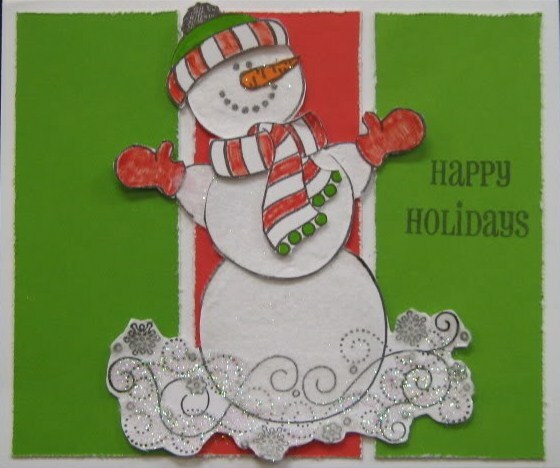 It reminded me of playing with paper dolls - except this was a snowman! It comes with a choice of hats, scarves and mittens! I stamped out the snowman and covered him with fun flock and just a bit of prisma glitter. I used our Exclusive Markers to color his hat, scarf and mittens. Winner of A Sip stamp: Gina C.
Thank you Gina & Wendy for sharing your cookie Recipes! If I have counted correctly, this will be the 8th year for our annual cookie swap. It began with a group of girls that worked together in the same department and had a common bond of scrapbooking. Over the years, some things have changed. Some of us still work together, while others have moved to other departments or even another company. Some still scrapbook and some have found other hobbies they enjoy. But one thing has remained steadfast - and that is the bond of friendship among 12 ladies. We all lead very busy lives, but we make a point to get together this one time of the year to sit together, catch up, laugh and of course eat cookies! This year I made Red Velvet Christmas Cookies. I had a very busy week and weekend so I wanted to keep my recipe simple. When I came across this one, I knew it was the one I'd make this year. So far, these cookies have passed the family taste test. They all gave this recipe a thumbs up. My family can be very tough cookie critics! They are usually waiting for me to get home wth all my cookie samples so that they can try each one. I think they look forward to my cookie swap as much as I do! Here are my cookies packaged and ready to go - along with the recipes. I printed the recipes on the computer and used the flourish stamp from "A Timber" to add a simple border. Cool completely and drizzle with Cream Cheese Icing. I'm Giving away a FREE STAMP! Share your favorite Cookie Recipe here. Just leave your name and cookie recipe in the comment section of this blog. Next Friday I'll draw a winner from everyone that leaves a comment. January is National Papercrafting month and Close To My Heart is inspiring us to celebrate! This week I received my pre-view Workshop kit and stamps that I ordered. The workshop kit is Wings and it is GORGEOUS! I will be sharing my layout from that kit soon but first I wanted to share my banner that I made. In celebration of National Papercrafting Month, CTMH has included an instruction sheet in the Wings WOTG kit for making a banner with their new My Creations Banner. 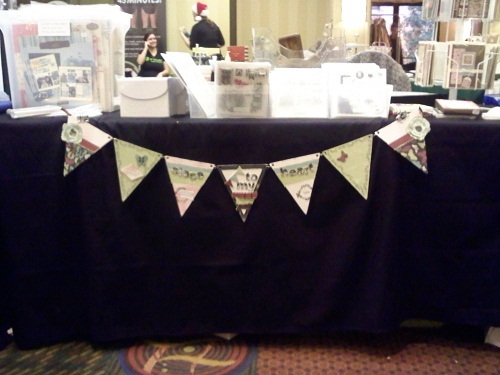 I made the layout and cards for the kit first and STILL had plenty of paper to make the banner. 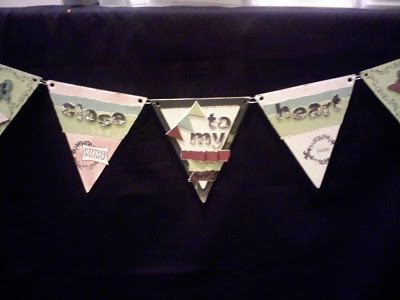 This banner is chipboard and include 8 flags and rings. 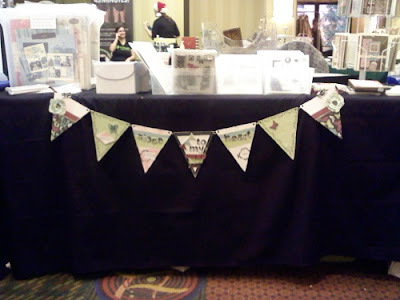 Since I recieved my kit and banner before the Holiday Bazaar, I decided to make my banner to hang in my booth. Perfect! Here is another picture a litle bit closer showing the middle three flags. I used the new Bohemian Alphabet stampset for Close To My Heart. I stamped each letter and cut them out, then used foam strips to make them stand out. Now that the bazaar is over, I'll put the banner in my scraproom. LOVE IT! BAZAAR that is! But some might think these little albums made from Close To My Heart's My Acrylix stamp envelope bizarre! I think they are cute! First I want to give credit to one of my spa buddies - Shannon Pelletier for this wonderful idea! She made a bunch of these and brought them to us in Utah at our Retreat. They were so adorable I couldn't wait to get home and make a few myself. This turned out to be a perfect way for me to use my retired 6x6 paper samples and leftover stickease from other projects that I had. These two albums are made with Top Stitch (top left) and Tinkerin' (right). You can use old stamp envelopes or you can purchase these in packs of three from Close To My Heart. (Item # Z335 - 6x6 Paper Organizers) To make the album - first slice open the sides of the envelope so that it opens like a book. Cover the front and back with B&T paper. I found some CD size envelopes to adhere to the inside back cover for a photo CD. 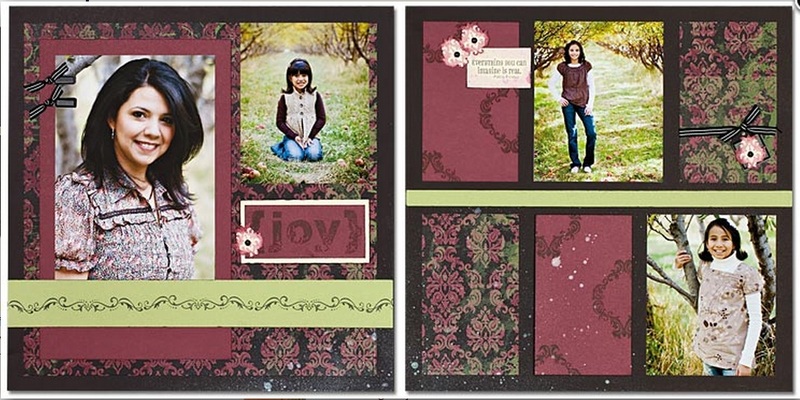 Then I added 6 sheets of B&T paper (6x6) and about 2-3 sheets of coordinating cardstock. Insert into the envelope album and hold steady while punching a hole in the top and bottom corners of the book. Thread ribbon through and tie into a knot! Embellish as desired. SO EASY! CD envelope in back. A great way to share LOTS of pictures! I used the remaining stickease from Top Stitch to embellish the pages. I kept the pages simple by not adding photo mats. This is so that one would not feel limited to which photos they can use. Here are two more that I made using That's Amore and Back Country. These are just a few more neat little gifts that I will be selling at the ADK Bazaar on Saturday! Be sure to come see me! One of my very favorite stamps this season is the A-size stamp - "A Sip". I loved making these little hot cocoa packet covers with this stamp. Each flavor is represented with a different paper/design. I'll have a sign posted so you can be sure to choose the flavor you love most! It's perfect little something to warm the heart of a co-worker or friend! Check out these altered Ribbon Round tubes! These were perfect for filling with Kisses and M&M's (two of my favorite Christmas candies!). I used another A-size stamp on this one - "A Timber". I have 3 different sizes of candy tubes. I recently discovered a great new blog. It's been around for a while but I never took the time to go see what all the H2H Challenge talk was all about. I'm so glad I found it! There is some GREAT artwork on this blog. This week's challenge is a sketch. Last weeks Design team member Mandy Leahy had a video demonstrating making paper flowers. I could not wait to try it out. It was a little late for me to get in on that challenge so I decided I would give this week's challenge a try and I just had to include one of those flowers! I used December's Stamp of the Month - Amore and Magnifique paper. Be sure to visit the H2H Challenge blog and check out all the artwork! Just click on the H2H blog button to the right. It is right above my listing of Favorite Blogs!